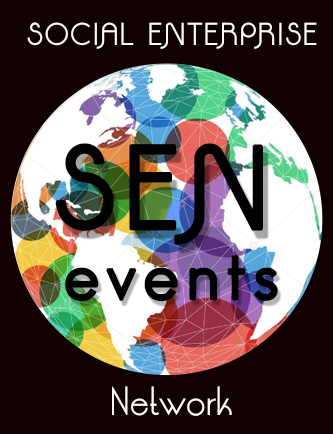 Thank you for visiting C2E’s events page for our Social Enterprise Network (SEN), supporting education in the various pillars of C2E’s Well-Being Model. Embody Your Essence Presents….TUNE IN & TURN ON! Join us for a day of wellness designed to nurture the feminine energy in women! This is a co-creation! The more you are ready and eager to receive, the more the channels will open for leading edge transformation to come through. Your journey begins energetically from the moment you sign-up. We are already holding space vibrationally for all who will be called together physically for this adventure. To preserve the intimate quality of this experience, we are opening this event to 12 participants only. The women co-creating this event have been carefully chosen to create a high vibration and cohesive resonance. Each therapist has space for 3 sessions in the afternoon. The sessions will be based on first-come, first-serve upon registration. Each modality is of the richest quality so be open if you do not get your first choice. The registration link will guide you through the process. We are here to answer any questions and to support your choice to gift yourself a day of self-care in the form of Tuning-In and Turning-On. Alison Bristow is a teacher, writer, and the founder of Embody Your Essence. While yoga is the modality Alison uses to facilitate awareness and alignment, her overarching passion is full-bodied, authentic self-expression. Seeing the light go on in others is what invigorates and lights her up. Now entering her 10th consecutive year as a yoga teacher, Alison’s guidance is infused with a wide breadth and depth of understanding. She also holds a tongue-in-cheek irreverence for the current and widely held stereotype of a yoga teacher persona and enjoys making fun of herself often. Alison’s work is honest, insightful, sometimes confronting, and always fueled by the energy and intention of LOVE. Morning and evening yoga with Alison. The morning practice will be a deeply focused, alignment-based practice designed for tuning in on all levels. Immediately following, we will channel the momentum of self-connection into 15 minutes of stream of consciousness writing. This writing is for your eyes only! The evening practice will be a deeply relaxing, restorative practice with sound, aromatherapy and vibrational tuning that allows you to absorb the impressions from the entire day on a deep level that goes beyond the intellect and into resonance with your essence. Melissa Brown, Licensed Massage Therapist, while trained in traditional therapeutic massage, has an integrative approach that fuses the most beneficial aspects of Eastern and Western approaches to healing. Known for her work with the Arizona Cardinals, Melissa draws from her hands-on experience, depth of knowledge, and intuition to offer treatment that targets the unique needs of each individual. Her embodiment of balance between physical skill and emotional sensitivity contribute to Melissa’s reputation as an incredibly gifted massage therapist. Mayra McCullough, Body Integration Specialist, takes her 10+ years of experience in movement for health and wellness to the water element in her Oasis’ heated pool. Using the combination of warmth, buoyancy and the water’s resistance, Mayra facilitates bliss therapy. Deep states of relaxation, increased range of motion, and muscular tension release team up to reset your parasympathetic system. The 45 minute session of passive stretching, massage, and weightless motion promises to leave you feeling like heaven on planet earth. Reiki is a form of energy healing shared by the laying of hands, on or off the body. Unlike massage the client stays fully clothed on the treatment table, or seated in a chair. Reiki reduces stress, induces deep relaxation and promotes healing of the whole person-mind, body, and spirit. We are so blessed to have our meal prepared by Chef Mo who has created a menu to support the intentions of our day! **All food will be organic , vegan, nutrient rich, gluten free, dairy free, soy free and as locally grown as possible. ***Other light snacks to nibble on will be available as well. All SEN Members are dedicated to co-creating to foster education on one or more of the pillars below. 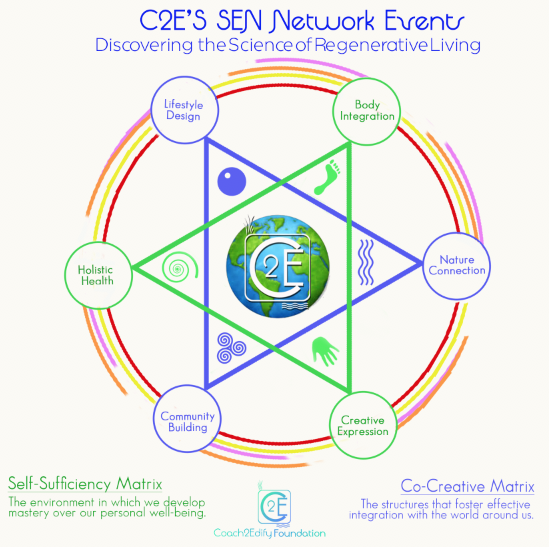 C2E’s Well-Being Model emerged on 2016 after 6 years of dynamic research and development in Los Angeles, California.